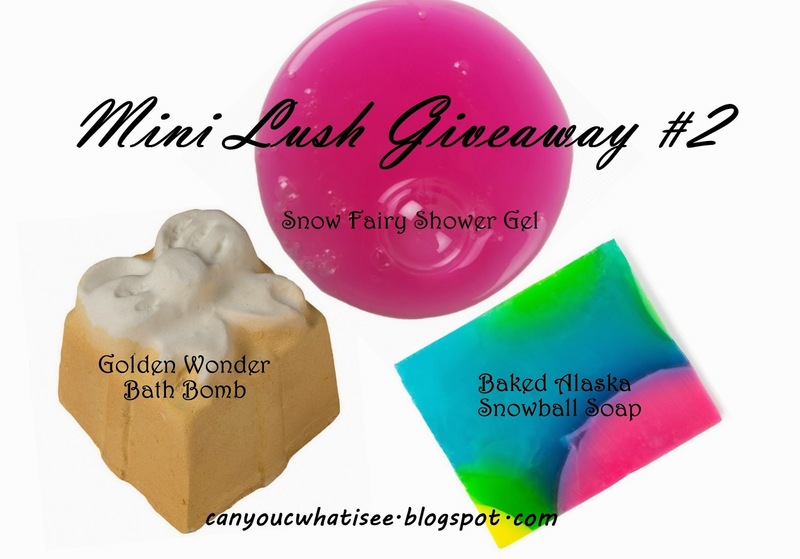 It's time for another little Lush giveaway! I essentially picked out a bunch of things that I was lusting over but couldn't justify adding to my stash while it was so big, this gave me the opportunity to shop there without feeling guilty. Giveaway opens 7/12/2014 at 8:30 am and closes 12/12/2014 at 12 midnight. 8 comments on "Blogmas - Giveaway #4 - Closed"
The last 3 Christmases I have bought the Snow Fairy shower gel... It's seriously incredible - the smell, the colour and the GLITTER! My favourite part or christmas would have to be seeing all my family. Everyone seems to be raving about the snow fairy shower gel- think I need to pick it up asap! Cooking up a storm and seeing the delight in my kids faces. Im exhausted but love it. My favourite part of Xmas is all my favourite brands releasing Xmas value packs/gift sets! Hands down the food :) My family can get a bit competive at trying to out-do others when it is bring along a plate to share at Christmas. Ultimately we are all winners in this situation! Spending time with the family, festivities and the fact that it is almost the New Year!